When I was a young photographer (back in the film era) I was taught that bounce flash for people pictures was not flattering and should only be used for event and news photography. Recently I did a Google search on the phrase “Bounce Flash” and got back more than two million results. YouTube.com and Vimeo.com had over 400 videos on the subject. Most of the web pages and videos gave me “rules for good bounce flash”. If you read any of my other articles you probably already know how I feel about rules and photography. Let’s look at a few basics. One of the first things that we are routinely taught about flash photography is that direct flash is harsh and bounce flash softens the overall light and eliminates heavy shadows. Then as you progress and get a little fussier about the quality of your images you realize that while bounce flash is softer and more flattering it tends to create shadows under the eye sockets which makes your subject look like they are sitting in a poorly lit classroom or office building. The net result is that we learn that if you are going to shoot people in a studio setting you need expensive lighting set-ups with multiple lights and fancy light control accessories like softboxes or beauty dishes. I am not going to lie – I bought into that lesson (I mean really bought into it… $$$$) for many years. Then I had one of those light bulb moments when I was working with a young intern who was really having a heard time understanding the concept that light travels in a straight line. I was actually trying to teach this intern how to use on camera bounce flash in preparation for an editorial assignment that she had coming up. I had set up a Speedlight on a stand instead of putting it on her camera so that it would be easier for me to manipulate it as she took test shots for visual reference. The light bulb moment was the realization that the greater the distance the flash was from the subject then the more the light spread and the softer and less top heavy it was. Add my favorite white WalMart reflector for a little bottom fill and you have some really nice, soft light. 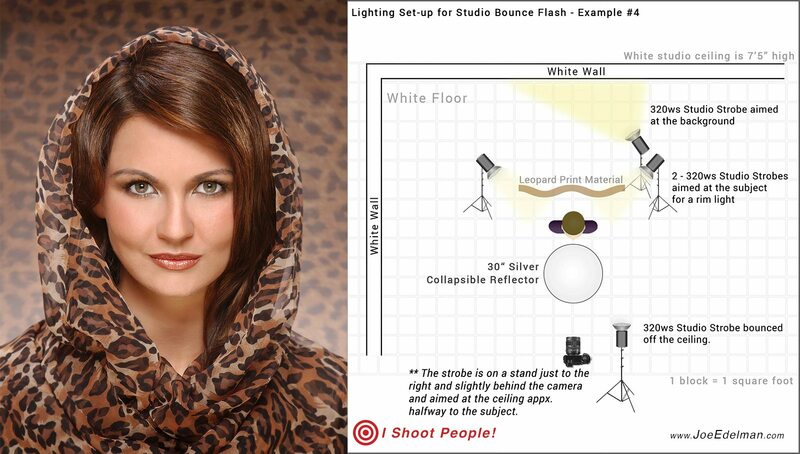 So let’s look at some examples and put this bounce flash observation to the test. 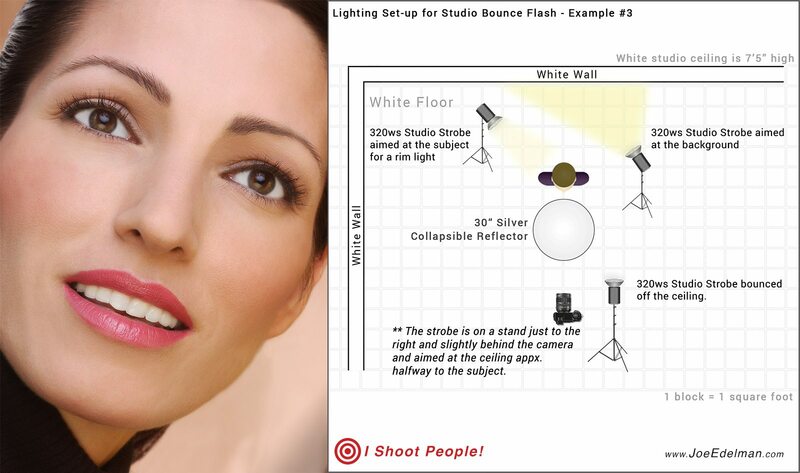 One of the key elements that is helpful when using bounce flash is a low ceiling. (The higher the ceiling the more light you need because of the increased distance the light must travel) All of the shots in this article were done in my home studio that has an 8-foot ceiling that is painted white. The light source for most of the shots is either a Paul C. Buff 320ws AlienBee or a Flashpoint 620M 300ws strobe. In this shot above, my subject is placed about 4 feet in front of a Savage Thunder Gray seamless backdrop. 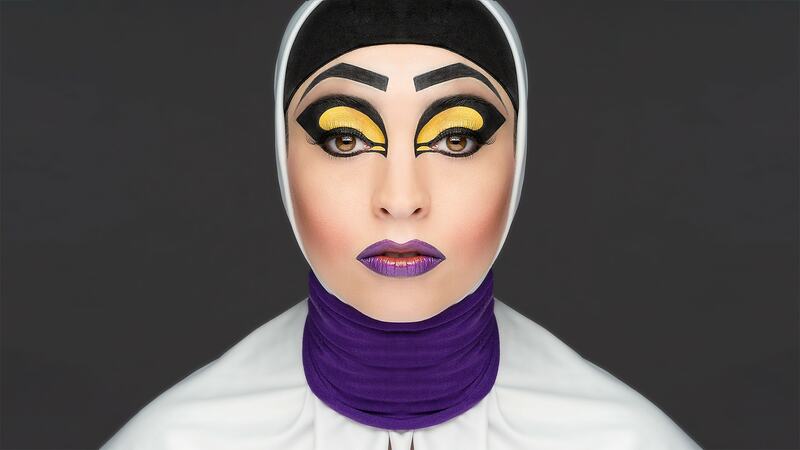 The main light (AlienBee B800) is placed about 6 feet in front of her and for the actual shot – the camera was hand held and in front of the main light. As you can see in the behind the scenes shot below, the WalMart reflector is placed just above the models belly button and angled upward. This provides a nice fill light as well as the soft catch light in the bottom of the eyes. 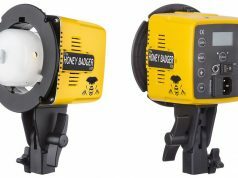 The reflector on the AlienBee is the stock 7” silver reflector. Traditionally, when using bounce flash on camera, the smart move is to aim the flash head to a point just short of halfway between your flash and your subject. Why? Light travels in a straight line and you want the bulk of the light to reach your subject, not dissipate causing you to have to increase your ISO or shoot at a wider aperture. 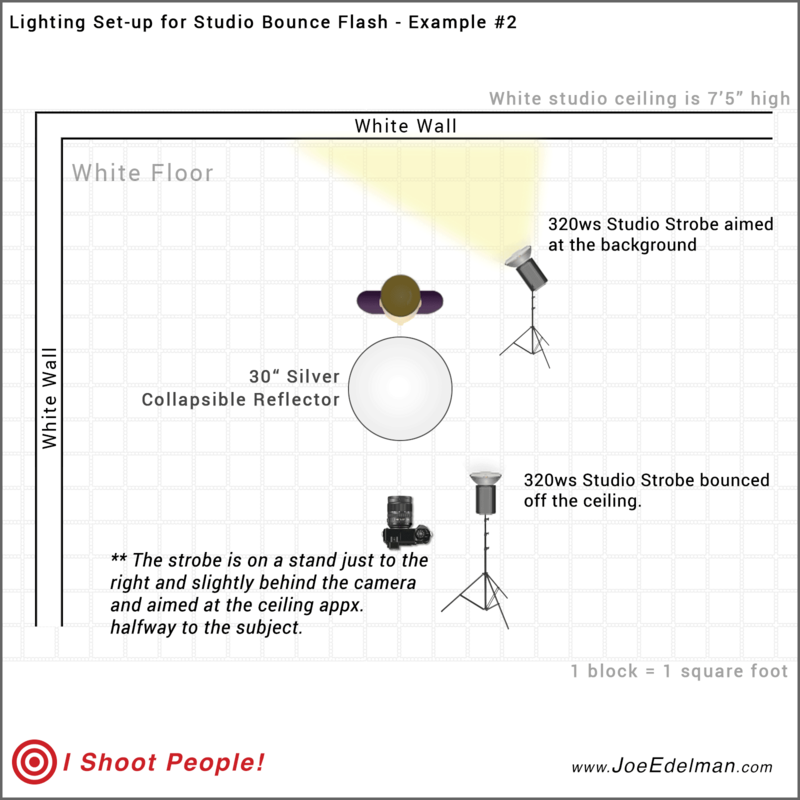 I have found that when working in a smaller controlled space like my home studio set-up I don’t have to be too concerned with how accurately the flash is aimed, as long as there is no spill directly on my subject. This next series of images of are also done with a single bounce flash and my model is seated in a small white corner of my studio. 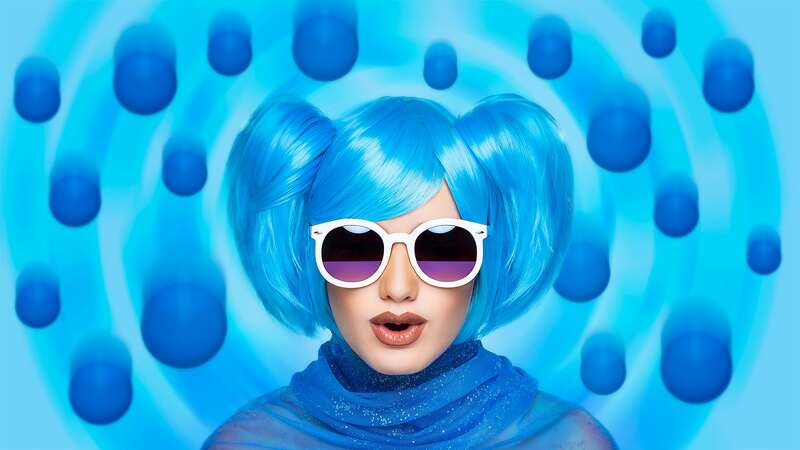 Because these are not close-up portraits, there is no bottom reflector. To compensate for the lack of a bottom reflector, the flash is placed a little further away (about 12 feet) from the model and aimed straight up. It is worth pointing out to those of you who shoot models that all 5 of these shots were taken in a 10-minute window, in the same location, with the same hair and makeup and same lighting. In other words. . . “1 shot and done makes” a very boring portfolio for model AND photographer. Don’t think that you are “that good”. If the shot is worth the time to set-up, it is worth the time to explore other options before you move on. The image of my model leaning against the moveable white wall is the exact same lighting set-up that was used in the previous examples. If you look to the right of the behind the scenes inset, you can see the white platform that the seated model was posed on. It is worth noting that this lighting set-up works well in Color as well as Black and White. The two shots above were done within moments of each other and only required a small change in the hair. Both examples above are shot with the WalMart reflector added back in to the mix as you can see in the lighting diagram below. Want to jazz it up a little? 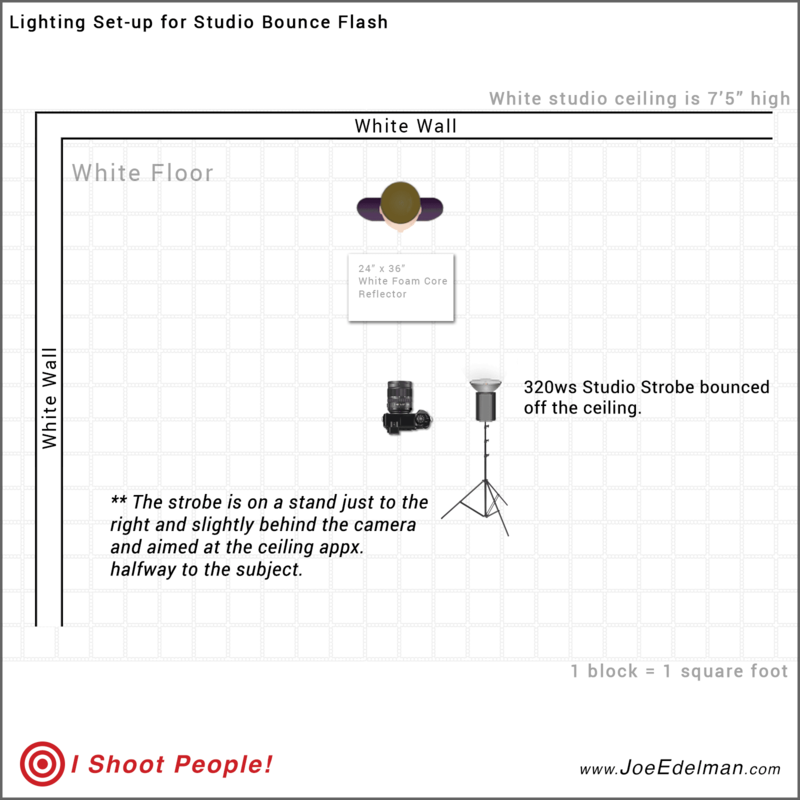 Ok for those of you who are getting a little antsy because you have already bought a load of lighting equipment and you know if you don’t use it your spouse will not believe you the next time you say “I need” a new studio light. . . let’s start adding some more lights into the mix. As you can see in the black & white photograph above and the diagram below, a background light added. The model is placed about 4 feet in front of a white wall with a 160ws AlienBee B400 placed just behind the model and aimed slightly upward towards the wall. The AlienBee has the standard 7” silver reflector. One notable change for the black and white shot above and the remaining two color shots below is that the reflector is now a Photoflex silver disc reflector. The brighter reflector creates a pseudo clamshell lighting effect without the need for a bottom light. In the color example below I added one rim light in the back on camera left. If you look closely you can see the subtle highlight that it leaves on the models dark hair. The background light is still in place with an amber gel on it. Finally for the last example I will go all out for the equipment geek in all of us and shoot with a whopping four lights. The main light is still bounced to the ceiling. The background light is still aiming at the white wall but I have placed a piece of shear leopard print material between the wall and the model (The same material that is wrapped around the models head). To finish it off I have added two rim lights – one on either side of the subject behind and above her to create soft highlights on her hair. It is my hope that you take away a few key pieces of information. If you remember these five points – I have accomplished my task. 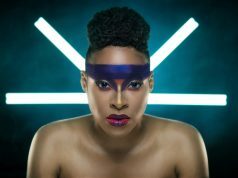 If you learned more than these five points, congratulations, you well are on your way to taking better portraits and beauty images. 1. There are no RULES in photography. R U L E is a four-letter word that hampers creativity. If you are person who has to define right or wrong and best or worst then you are probably not going to be anything more than a “good photographer”. 2. KISS it! Everybody needs a little love right? Seriously… Keep It Simple Stupid. 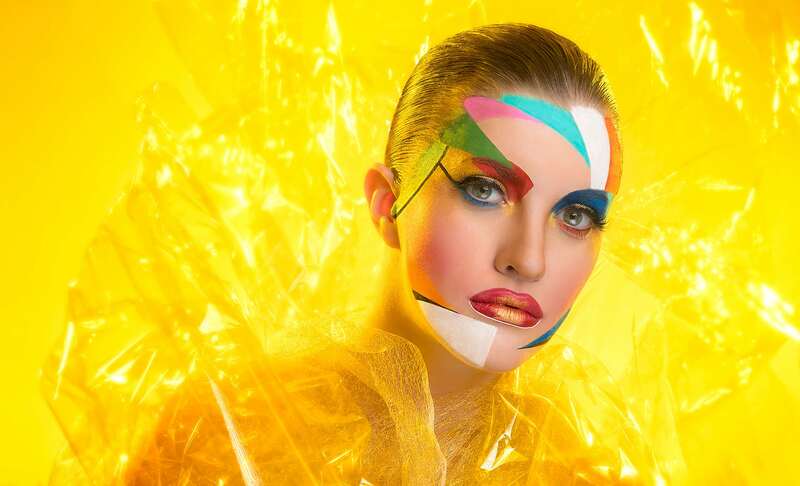 The MOST important element in your beauty shots is what you put in front of the camera. Lighting, exposure, backgrounds, composition are secondary. 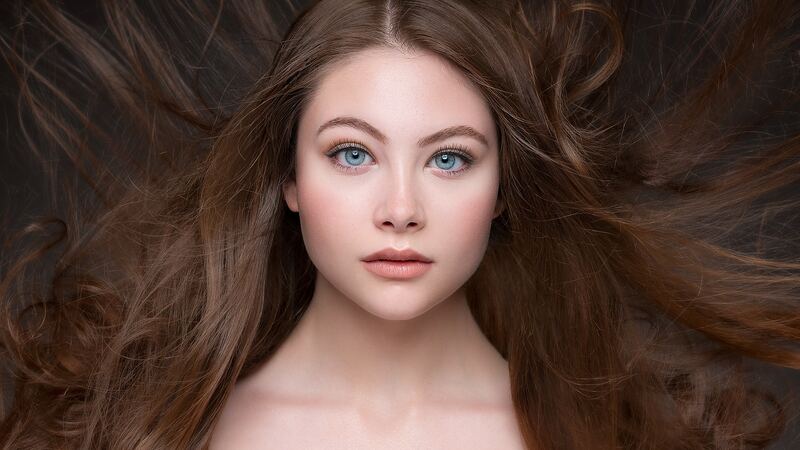 A beautiful subject with great hair, makeup and the appropriate styling are MOST important. 3. You don’t have to be rich to be a photographer. HeHeHe… in fact if you want to be rich it is probably best to find another career path. You don’t need tons of expensive equipment to shoot great beauty shots. Most of the images that you have seen in this series were done with one light and none of them required more than three. Seattle based photographer Chase Jarvis has made famous the phrase that many of us learned in our teens if we were fortunate enough to have good mentors… The best camera is the one that’s with you. That applies for lighting and modifiers too. You MUST learn to “SEE” light. You may own the coolest most expensive equipment but if you can’t see what is really going on in front of your camera then you are lost. As humans, our brain processes incredible amounts of information before we are aware of it and often times even without us being conscious of it. As a result we miss things. I will often walk a new intern up to a telephone poll and tell them to take a photo of it that is visually interesting. When they are done looking at me like I am nuts, in less than 5 minutes I will make a series of photos that look like they could be on a gallery wall. They chose to accept that their brain showed them an ordinary telephone poll. I showed them that by taking the time to truly observe what was in front of me, even something as ordinary as a telephone pole could be a beautiful work of art. 5. All of the lessons that you have learned from these articles and from any articles for that matter are WORTHLESS unless you go out and shoot and make mistakes.